It's a car tunnel! It runs along the side of the river in some places, and goes under the river in other places. 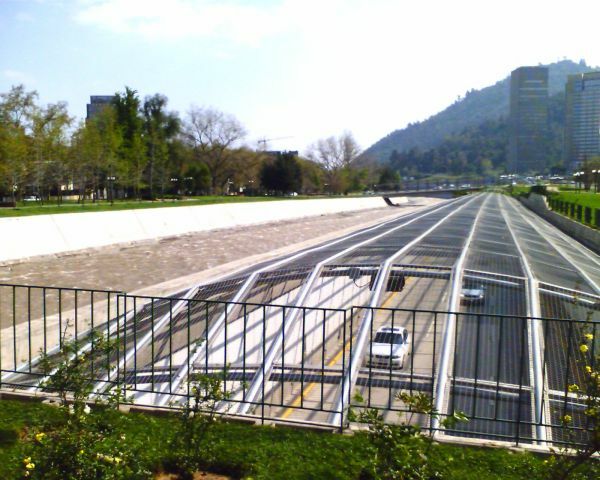 The river, the park, and the tunnel all use the same space.